IoT solutions are helping different industries to improve their business model and enhance the efficiency of their operations. We believe that you do not have to reinvent the wheel when you have an excellent IoT solution available in the form of IoTSense. Here, we first discuss the problems of coming up with an IoT system from scratch and then share the benefits of working with IoTSense in your business application. It is difficult to ensure that you can achieve the desired level of security when creating new IoT software. There are various requirements in terms of creating a strong solution, which means that typical onsite systems for data sensing, analyzing and processing are simply not enough for secure communication and transfer of information. An in-house developed system, when placed in your environment, may not allow you to use it assuredly, as you may face undesirable situations. Creating a new system raises several questions that simply do not allow the luxury of carrying out automation tasks with complete confidence. Understanding influence of data patterns and predictive analysis is difficult when producing a one-off system. You must build in all the functionality from the scratch according to the setup of your business unit. Limited AI is available when using systems that must cater to specific demands as it is often established because of the exposure available to a program. IoTSense employs an open API architecture, which is excellent for integrating within existing systems or even build rapid solutions based on using those APIs. It is an intelligent platform, where it is easy to make the required changes and produce the best results for your data processing and automation needs. You do not have to wait for a long development period for your IoT solution. With an ideal solution already present, and CDCI [Continous Delivery Continous Integration] with container ready builds, it becomes scalable as per industry requirements. If you are worried about the security of your IoT solution, then IoTSense is certainly an ideal choice. It offers three different security levels that always ensures that your data is secure and your system automation is always devoid of attacks. The security implemented within IoTSense provides data encryption authentication levels, different logs for auditing the system. IoTSense certainly offers excellent benefits over reinventing the wheel by designing an IoT solution from scratch It offers smart data analytics and better control over your business environment. Today, there is increased fear and uncertainty surrounding the security of the IoT architecture. To help address this problem, some tech companies have come up with solutions that allow organizations to double-check the security of their IoT devices and the network enabling them. The vulnerability of the Internet of Things (IoT) is there for all to see. The loopholes in the IoT infrastructure are no secret, increasing the fear and apprehensions of the companies implementing the Internet of Things. 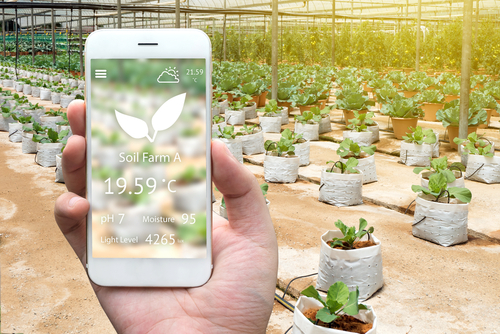 IoT is becoming an increasingly hot topic across many industries, propelling more and more connected devices to enter the market and be shared among users. Today, there are millions of connected devices and thus it can be easy to lose sight of the security of these devices. With IoT networks and devices growing by the day, it is becoming increasingly important for organizations to choose IoT solutions with secured identity and functionality. Contrary to popular belief, encrypting messaging isn’t the only thing required to secure IoT device communication. Instead, the security needs to be extended to cover all stages of the communication. Following are some tips to secure your IoT device communication. 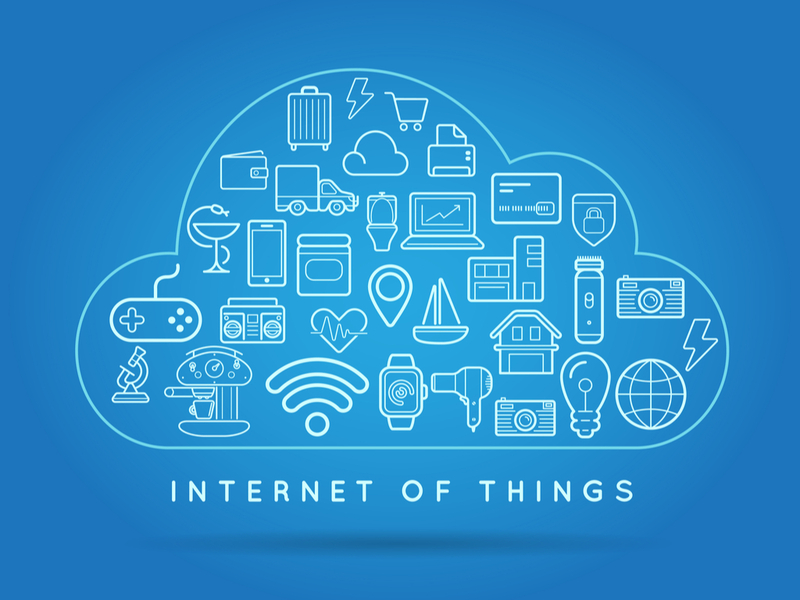 Before anything else, consider what functionality you require from an IoT device. Connecting a device to the internet just because you can do that is not a good enough reason to hook up a device. Before you connect a device to the internet, consider the potential benefits of doing so and what exactly can the connectivity bring you. If you connect every device that you can connect to the internet, then sooner or later, you will have a security problem. To enable visitors to enter your network without giving them access to networked devices or shared files, many wireless routers allow guest networking. This can work well for Internet of Things (IoT) devices having dubious security. Picking strong passwords is extremely important when setting up IoT devices. It is also important to have a different password for each connected device. If you don’t do this, then all your devices will be at risk if the security of even one of your IoT devices is compromised. Avoid reusing passwords for device and use a password manager to keep track of your passwords. For businesses, tracking the connected devices and monitoring the flow of traffic is crucial. 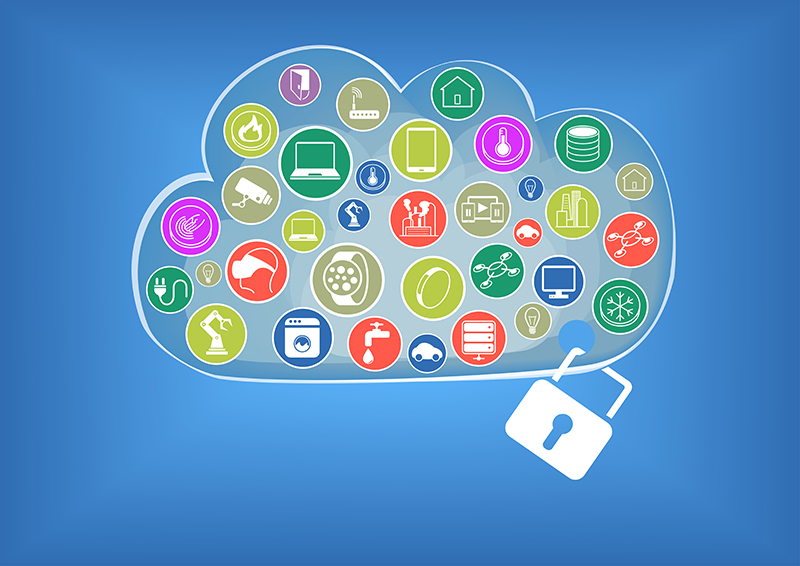 To determine the level of access devices should have, you need to assess your IoT devices. This will enable you to keep the devices up to date and fully patched, safeguarding data end-to-end and preserving its integrity. A prerequisite for proper security is understanding the connected device and what they’re doing so make sure you do that. If you’re concerned about the security and privacy of your IoT devices, then IoTSense has the perfect solution for you. What is blockchain? Why does everyone seem so interested in it? and what is relationship between Blockchain technology and the Internet of Things (IoT)? A peer to peer (P2P) distributed ledger, Blockchain is changing how the world performs financial transactions and interacts within the digital realm. A technology that is aiding the fight against cyber-threats faced by smart IoT based concepts such as smart cars, smart homes etc., blockchain is helping to significantly lower the cost and complexity of doing business. Blockchain maintains a list of a data records that are cryptographically secured, continue to grow, and are made resistant to revision and tampering. 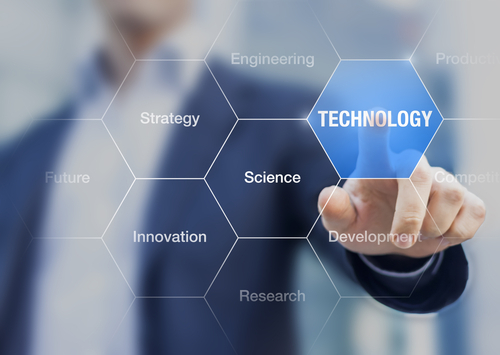 Not only does this technology streamline business processes, it also helps establish transparency, accountability and trust. A technology currently employed to secure cryptocurrency transactions occurring over the internet between users, blockchain makes it easy for individuals and businesses to track and trade anything of value without involving a central authority or mediator. Blockchain is a technology that shows great promise and one that presents individuals and businesses with exciting opportunities for the future. In recent years, there has a been a lot of interest and frenzy around blockchain. Let’s explore the reasons for it. Why the Interest in Blockchain? Unlike banks, blockchain puts the control of transactions in the hands of the public or the people performing them and this is perhaps the greatest lure of the technology. While it isn’t the be-all-and-end-all solution for the challenges facing the digital economy, blockchain is certainly playing a major role in securing and advancing the Internet of Things (IoT). 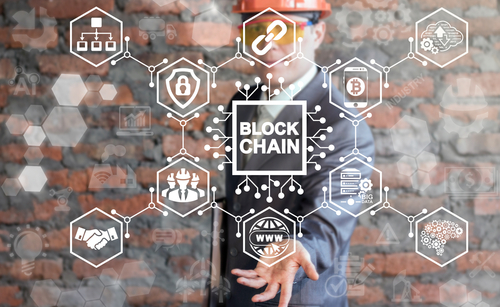 Mentioned by nearly all research companies as a rapidly evolving technology, blockchain is not limited in scope as most people wrongly believe. Instead, its scope goes far beyond cryptocurrencies or even financial services. A topic on the agenda for many companies, the use of blockchain for devices and systems enabled by the Internet of Things (IoT) is increasingly being considered for initiatives, solutions and implementations outside of financial services and cryptocurrency. Blockchain enables Internet of Things devices to be part of transactions. Today, it is possible for to use information from IoT devices with a blockchain platform. In the future, these devices will be able to verify or update smart contracts by communicating this to blockchain-based ledgers. This means that it would be possible to update the temperature and location information of an IoT connected item that moves along several distribution points on a blockchain in the future. This will make the sharing the status and information on items moving along the supply chain easier, which can only be a good thing for businesses. By using IoT in conjunction with the blockchain technology, businesses can gain access to enormous amounts of valuable data that can benefit the bottom line. To get more information on this, get in touch with IoTSense today! There is a new revolution around in terms of creating smart solutions and making sure that we can use the internet technology to improve all routine functions. An important concept in this regard is to increase your organizational efficiency and operate consistently at the optimum level. This requires your business to enhance constantly and look for avenues that provide any improvement. Businesses must accelerate IoT implementation to work out how they can use its benefits in reducing their operational costs, add more functionality in their products and produce bundled deals that everyone likes in the modern economy. The switching is easy when you use IoTSense, which provides the revolutionary IoT options as a single package. Global businesses and companies that are present in different geographical locations need solutions that they can use on a universal scale. 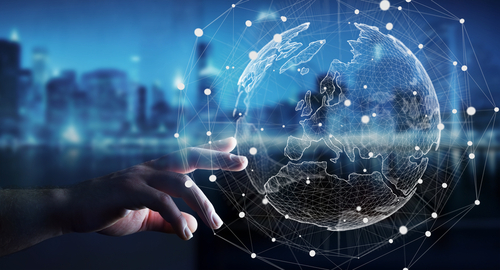 By accelerating your IoT implementation, you can ensure that all business offices can connect to one another and use the power of the big data that can be collected from all sources at once, with the use of a dynamic IoT solution.. Transformation is possible with a tool like IoTSense, which has the capacity to implement multiple sensor sources and networking equipment. It provides a transformation in your business, where you can make strong transactions and shift to global operations. With the availability of better information through IoT, modern businesses can make better decisions on the sop, and reduce the hierarchy issues. When you accelerate your IoT implementation, you can quickly reach the equilibrium position where you have identified all your IoT needs and have established processes and technological elements that improve all facets of your business. With a top solution like IoTSense, your business can reduce its costs and gather more information. This will give them the required advantage that they need to further perfect their product and services and perform better when facing tough competition. 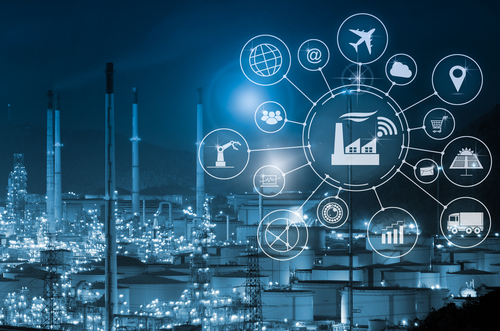 Good IoT solutions can even add customers to the feedback mechanism and allow businesses to improve their distribution, learn about the peak demands and implement improvement measures in the manufacturing unit. If you accelerate your IoT implementation, you can quickly create a new business model where you may find that you are able to identify a new need of the customers and launch services that people want. This is possible because IoT tools can help you gather information and learn about the different performance aspects of your products and services, resulting in constantly improving customer satisfaction. The Internet of Things (IoT) involves the use of modern networks to provide sensor fusion and achieve better intelligence. The IoT concept also attempts to produce a smart environment around us, where it is possible to automate most of the tasks that we normally perform. A new technology which has emerged with regards to the blockchain technology is IoTA, which offers a distributed ledger technology. Here we first define IoTA and then discuss how it revolutionizes the current model of IoT services. IoTA is a blockchain standard, which is different from the traditional network. It is present on a Directed Acyclic Graph (DAG), which provides the distributed data structure, which is required for keeping a record of sales. However, an amazing aspect is that since it allows the recording of services just like products, it is ideally designed to provide control, technology transfer and other benefits that IoT services require when connecting businesses with smart solutions. The IoT services that are currently present are expanding. There is certainly a need for sharing resources in this industry, which can ultimately bring the costs of the IoT solutions down. It will also allow for greater information benefits, as well as provide the facility to constantly improve IoT-related service providers. IoTA can certainly offer benefits for smart technologies. It allows companies to create their own B2B models, where they can use their technological services as items, which can be traded in an open market. With no fees involved, it can expand the potential of the current IoT solutions, as I0TA allows the use of inter-connectivity and the improvement of services based on shared technological solutions. The IoTA technology is powered using the Tangle, which is the distributed ledger that does not require any blocks. It is a scalable solution and can provide transfer of services without any applied fee structure. The consensus about the information of the services is decentralized but still works the same way, because it is coupled with the system during each step. This allows this system to offer automation self-regulation, and the ability to deliver unmatched performance. The system constantly improves, when peer to peer networks communicate with each other and produce the intended benefits for IoT networks. The most important benefit to IoT services is that IoTA provides the framework that allows devices to trade resources with each other. This is a great technique for empowering the overall capacity of the IoT solutions ,allowing businesses to make the best use of the available information. When different devices trade information through a distributed ledger, it produces an excellent record of the IoT data and provides an improved capacity to produce data analytics. IoTA certainly works as a cryptocurrency mechanism for digital services that are offered using the cloud and edge computing solutions. It provides a solution designed for smart devices and services that have an enhanced need for performing the required communication. The healthcare industry faces serious problems with the increase in available devices and the information generated through them. There are also several procedures in the industry, which are often difficult because of the lack of communication. Integration is required to achieve the ideal organizational results in this industry. One of the ways this result is a possibility is by utilizing the modern IoT solutions. IoT solutions provide the benefit of improved cost control. This is possible when unnecessary medical visits are reduced. Doctors and other medical staff can share useful information with the use of smart sensors. This cuts down the required time for performing relevant discussion, allowing improvements over time-costs and the ones required for personnel and equipment movements. A serious problem in the healthcare industry is the presence of errors that can affect the way diagnoses are generated and shared with other medical experts. The use of IoT solutions ensures that all minor errors are eliminated, and the procedures become transparent for all the important stakeholders. This is a direct result of using data processing through automation, and is a perfect way of revitalizing healthcare industry and setting up better practices. Another advantage of an IoT solution in a medical setting is the improved drug management. An integrated solution allows medical professionals to record various customized drug formulations and ensure that accurate results with the pharmacy are always possible. The costs are improved, when all prepared drugs are employed, with the failure in terms of a wrong preparation is skillfully eliminated. This is a possibility when treatments are shared between different departments, and all medical professionals dealing with a single patient can communicate important information with each other regularly. 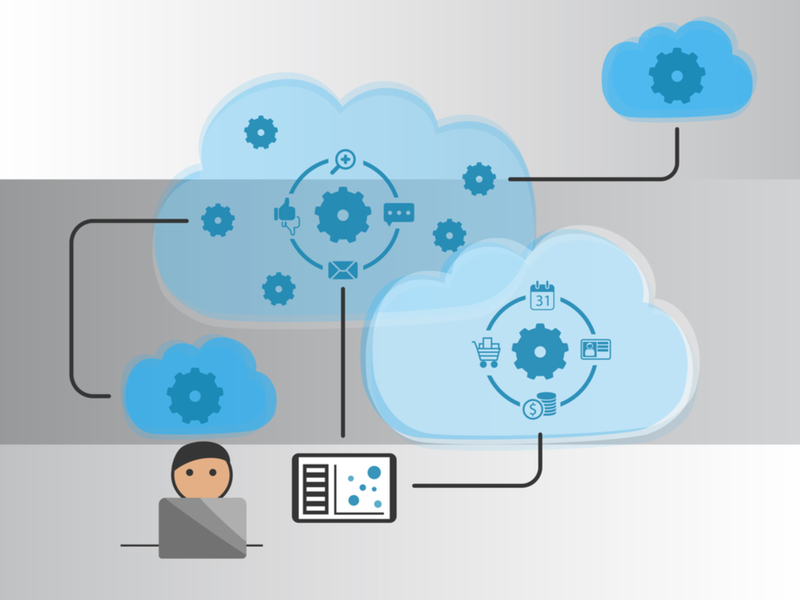 When all health solutions are connected using cloud computing solutions, it is possible to use the real-time information for improved handling of complicated cases. With the ideal treatments delivered on a timely basis, the expenses for each treatment session are reduced and better control over the results is achieved as a natural outcome. IoT solutionscan be used to provide a better experience to patients present in the medical centers. Since all the information is connected and available to the relevant staff members, patients do not have to provide the same information to multiple doctors and handlers in a repeated manner. This situation allows the patients to remain calm, while on the other hand, they give the treating physician access to accurate information. The patient can trust that the treatment suggested will produce the ideal results, because each decision-maker has been adequately involved. Similarly, we are already enjoying a few smart grids with the ability to diversify electrical energy according to the needs of the consumers. Another IoT application is the availability of smart machines in the industry. These machines can manage their own maintenance and servicing needs, while also giving regular updates to the owner, over the internet. With smart data processing, modern factory owners can improve processes and optimize the efficiency of men and machines.
. One growing technology is the wearable gadget for smart functionality. Glasses, watches and armbands can all be further empowered with the use of IoT application, allowing them to create useful data for use. We are also moving towards smart cars that can stay connected to each other, using IoT software and share traffic information for allowing the ideal route management. 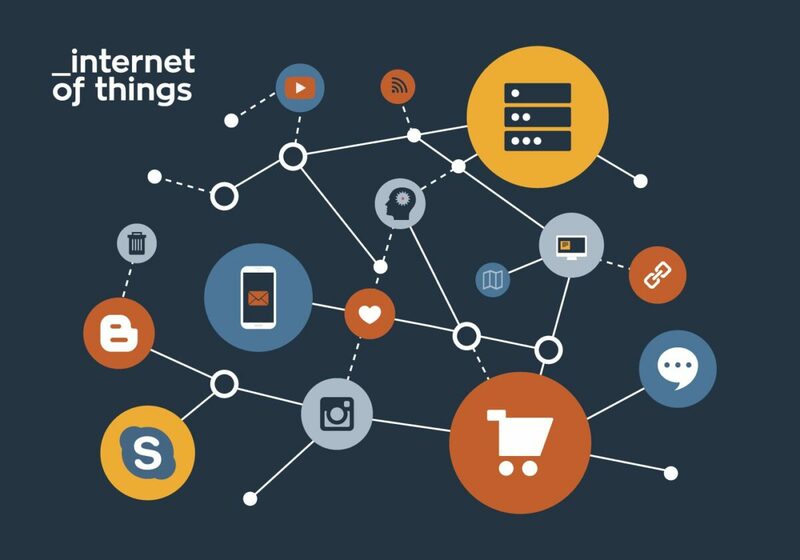 The Internet of Things (IoT) is a compound term which includes all solutions that use the available network technology, data processing and edge computing to come up with smart solutions for everyday applications. Here, we compare three important IoT connectivity solutions of NB, LoRa and Sigfox. Narrowband (NB) is an IoT connectivity solution, which is defined for devices that employ low data rates. It is perfect for using mobile networks through devices that employ battery power. The NB was presented by 3GPP, the cellular network standards body, which had not produced a solution for low need devices, since 2G, GPRS communication. This solution has the potential to be the future IoT solution. However, it is way behind providing the required technological support, when compared to other low power options like LoRa and Sigfox. NB IoT solution is offered in two variants, and one of them is not compatible with the current data structure in place. The 3GPP network was slow to come up with an IoT solution, and this means that narrowband must catch on to other competitors that are already offering good connectivity solutions to smart service providers. However, NB has excellent potential in the future for IoT systems that require the support of hundreds of connections. The connectivity solution will be finally available now and it will create its marketplace over time. It is supported by 3GPP, which can incorporate it into the cellular networks of the future. LoRa is a modulation connectivity solution, which uses a wide area network to provide connectivity to IoT based devices that are present in a large area, using a unified access. It uses the spectrum, which is not currently licensed and makes up around 1% of the available duty cycle of wireless communication. This means that it can only handle a limited volume and provide a specific bandwidth. The ability to provide control and send data to the devices also remains limited because of the narrow bandwidth. Right now, LoRa is offering the cheapest solution for the WAN support required for operating large IoT networks. Sigfox is an excellent WAN solution and was the first successful solution for implementing large scale IoT devices. It is a basic technology, which can be implemented using cheap radio modules. However, Sigfox is limited to providing an uplink where devices can send information to the central station. Although it is possible to perform limited downloading, the capacity is significantly restricted in this architecture. It is the most limited technology, but is easily available in many parts of the world. However, one issue with Sigfox is that it is hard to scale-up, especially when it is limited in terms of holding two-way communication. We believe that the future belongs to Narrowband IoT connectivity, because it is supported by the global cellular network service designer (3GPP). However, LoRa is an excellent option for current devices which have limited use. Sigfox is already in use and soon will become limited.